What's on Netflix > Netflix News > Is Brooklyn Nine-Nine Streaming on Netflix? Is Brooklyn Nine-Nine Streaming on Netflix? 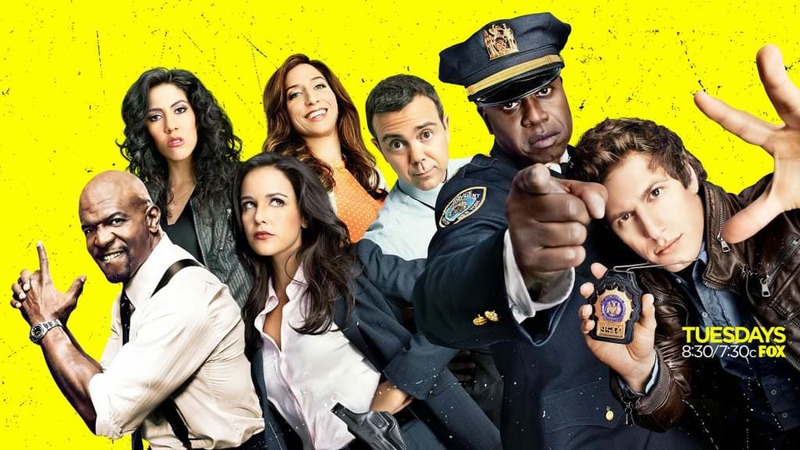 Brooklyn Nine-Nine has been one of Fox’s breakout comedies from the last few years which is mostly crowded with animation adult sitcoms on the network. The series is fronted by ex-SNL superstar Andy Sandberg, who let’s be honest, never really made a name for himself outside of Saturday Night Live other than a string of mediocre movies. Also involved in the show is everyone’s favorite, Terry Crews along with Stephanie Beatriz, Melissa Fumero and Chelsea Peretti. The premise of the show is all about a dysfunctional police unit that hires Jake Peralta (Sandberg), who’s immediately causing friction between his colleagues at the 99th Precinct. It’s honestly one of the best things Sandberg has ever done and continues to grow with each passing season. Which brings us to answer the question, is Brooklyn Nine-Nine streaming on Netflix? In the United States that answer is no because of an ongoing contract between Fox and Hulu Plus resulting all of the episodes being exclusively available on that service. It’s also available on catch-up on Fox services. There is some good news however, as other Netflix regions do have access to the show. Season 2 was recently added to Netflix in the United Kingdom.